LifeSpan, Inc. is a regional non-profit agency providing essential services to the elderly population since 1973. LifeSpan provides life transition management, community services, care management, and in-home meals to persons age 60 and older. LifeSpan wanted to be a “stakeholder” in the revitalization efforts occurring along the Historic Eighth Avenue Corridor in Homestead, PA. The agency had previously rehabilitated its offices and senior center, and built an 8 unit apartment building utilizing low income housing tax credits (LIHTC). The agency had worked with one of the principals of UDV on the LIHTC project, and so they turned to him to assist in the planning and financing of their new venture. LifeSpan purchased the upper 2 floors of a historic bank building under a condo agreement with the first floor occupant. UDV’s staff prepared a HUD Section 202 Supportive Housing Application for the project and also obtained a HOME grant and affordable housing funds through the county to complete the financing package. UDV acted as the housing consultant for the project from the initial concept stage, through to completion in 2010. Through our staff’s efforts, eight newly rehabilitated apartments for the elderly were completed and another historic building had an adaptive reuse in the community. UDV has served in the capacity as lead consultant for the PA Section 108 Loan Program for the past seven years. The staff of Urban Design Ventures assisted the PA Department of Community and Economic Development (DCED) to obtain an $88 million commitment of Section 108 Loan Guarantee funds from HUD to finance a State Section 108 Loan Program. Our firm prepared the HUD application to reserve these funds. UDV developed program guidelines, underwriting guidelines, and assisted in the formation of a consortium of municipal jurisdictions which were not Federal Entitlements. The PA Section 108 Loan Program allows non-federal entitlement communities to access Section 108 Loan Guarantees for larger economic and community development type projects. As a part of our contract with DCED, UDV provided a risk analysis of the loan program, underwriting services for individual projects, technical assistance to DCED staff and members of the Section 108 Loan Consortium, preparation of loan applications for specific projects to HUD, activity status reports, and marketing and training materials. UDV conducted seminars and training sessions throughout the Commonwealth to market and present the program to municipalities and development agencies. In 2010, UDV prepared a seven county Section 108 Loan Guarantee Application for Boscov’s Department Stores, Inc. Our staff was able to secure $35 million for this endeavor which brought the company out of bankruptcy. UDV was also successful last year in obtaining the first HUD approved application by a State applying on behalf of a private developer. HUD provided a $15 million Section 108 Loan Guarantee to the Commonwealth of Pennsylvania to loan to 84 Lumber Company. This was coupled with another successful UDV prepared application for $5 million for the same developer through Washington County, a Federal Entitlement Urban County. Monessen is a small third class city, located in southwestern Pennsylvania, approximately 35 miles south of the City of Pittsburgh. Monessen is a state entitlement community under the PA Small Communities CDBG Program. Once a thriving steel and coke manufacturing center in the “Monongahela Valley”, Monessen is re-envisioning its future. The city’s population was 7,720 according to the 2010 U.S. Census. UDV has been providing CDBG and HOME technical services to the City of Monessen and its Redevelopment Authority since 2003. Our staff prepares the City’s annual CDBG applications for state funds, the ERR’s, HOME Program, housing rehab services, performance reports, historic reviews, IDIS reporting, etc. UDV also provides professional services in regard to the City’s Zoning Ordinance, preparation of redevelopment plans, architectural design services, and assistance in the preparation of applications and administration of the PA Redevelopment Assistance Capital Program (PA-RACP). 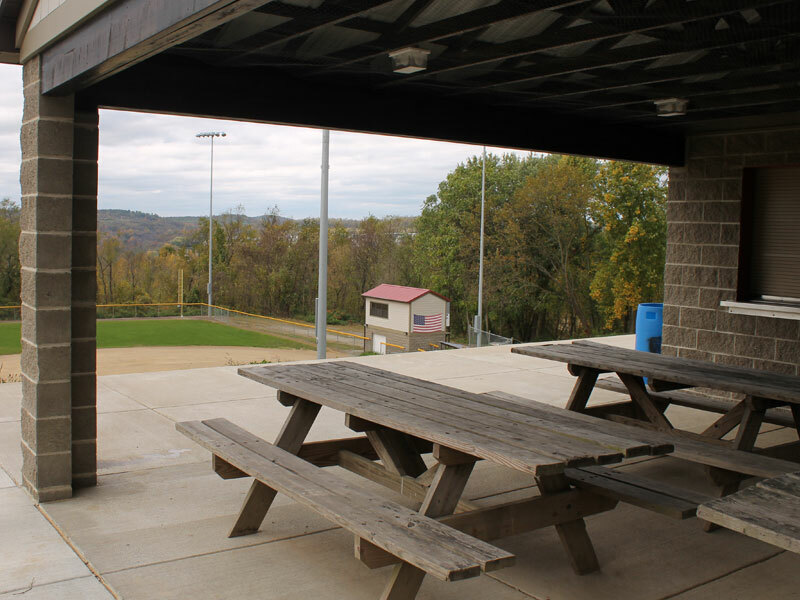 UDV has always provided advice and guidance to the City of Monessen’s elected officials and staff to identify and obtain alternate sources of funding for housing, community and economic development activities. The City’s administration realized that it had to “revitalize” the community and decided to borrow $7 million in bond funds to initiate this process. This provided the City with matching funds to obtain grants and stimulate private investment. Our staff assisted the City in obtaining RACP for the renovation of the Monessen Public Library and the new construction of a Public Safety Building. 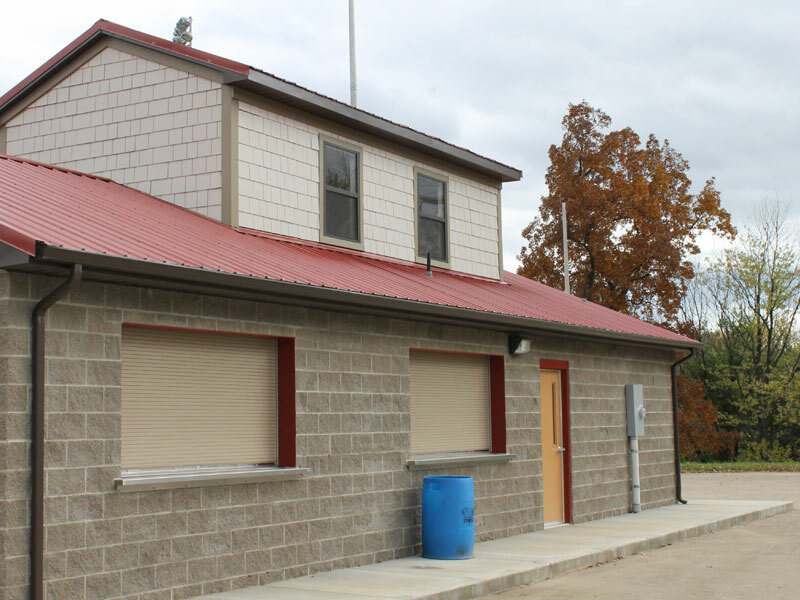 In addition, UDV’s staff architect prepared plans, specifications, and construction inspection services for the Public Safety Building and construction of new facilities at the City Park and Columbus Field Park. 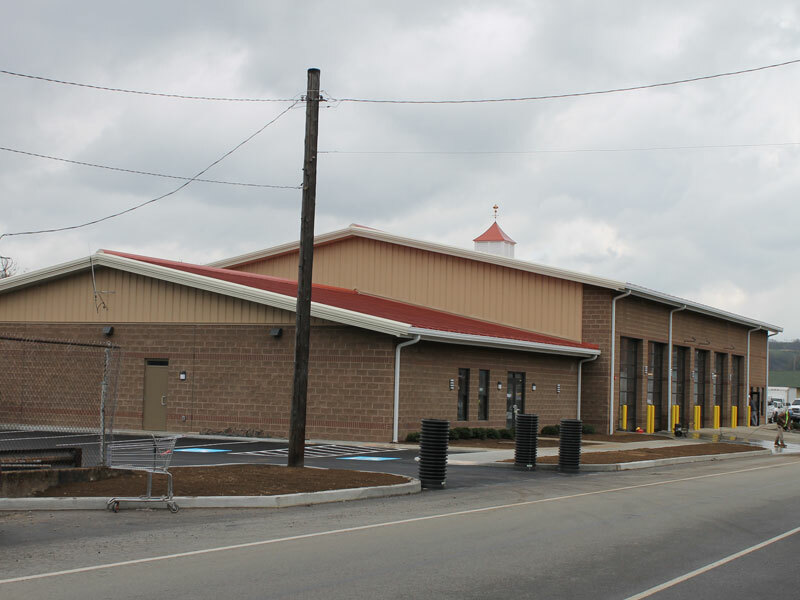 UDV also assisted the City to obtain two successful Section 108 Loan Guarantees for Alumisource, Inc., an aluminum recovery plant, and for the construction of a new office building for Farnham and Pfile, both located on a former steel plant site, which was a “Brownfield”. David Forbes, the managing partner for the LP, is a New York real estate developer, that has successfully expanded his property development enterprise to Pittsburgh. Mr. Forbes’ investment group purchased two 8 story historic commercial buildings in Downtown Pittsburgh for reuse and rehabilitation into “upscale” housing. Using federal historic rehabilitation tax credits, the group was able to complete its financing to proceed with the project. The partners turned to UDV to provide professional services in obtaining the tax credits. The two buildings were adjacent to, but outside the existing boundaries of a National Historic District. UDV’s staff reviewed the National Historic District and was able to document how these buildings and others were compatible to the district, including the architectural styles, historic uses, condition, etc. As a part of our work, UDV was able to justify an increase to the boundary of the historic district and prepared a recommendation to the PA Historic and Museum Commission to expand the boundary by including these properties and others, in order to qualify for historic tax credits. Once the boundary increase issue was settled, UDV was able to successfully complete the Parts 1 & 2 of the Historic Rehabilitation Tax Credit Application for certification by the National Parks Service. The project is now proceeding and will be opened in the Spring of 2013. The City of Pittsburgh is located in the southwestern portion of Pennsylvania and is the second largest City in the Commonwealth. It is also the county seat of Allegheny County. According to the 2010 U.S. Census, Pittsburgh’s population was 305,704 and the county’s population was 1,223,348. Urban Design Ventures has served as the planning consultant to the City of Pittsburgh since 2006 by providing on-going technical assistance for the City’s CDBG, HOME, ESG, and HOPWA Programs. Our staff prepared the Five Year Consolidated Plan for FY 2010-2014, the FY 2007 through FY 2012 Annual Action Plans, and CAPERS for FY 2006 through FY 2011. In addition, UDV prepared the FY 2007 Analysis of Impediments (A.I.) to Fair Housing Choice, and the FY 2012 Updated A.I. As a part of our continuing services agreement, UDV has completed Section 106 Historic Review Consultations, the ESG Substantial Amendment, assistance to the Urban Redevelopment Authority of Pittsburgh, certifications of redevelopment areas, preparation of Neighborhood Stabilization Program (NSP), Homeless Prevention and Rapid Re-Housing Program (HPRP), and CDBG-R applications for stimulus funds, etc. The City of Pittsburgh has a variety of housing, community and economic development programs designed to address the needs of the residents. UDV is a strong partner in assisting the City of Pittsburgh to expend its Federal Entitlement funds in an efficient and timely manner.